Peel Regional Police have arrested two men for the "targeted" killing of a Hells Angels member earlier this week. On Monday, Michael Deabaitua-Schulde, 32, was shot in the parking lot of HUF Boxing Gym, near the intersection of Dundas Street East and Cawthra Road in Mississauga, at around 11:20 a.m.
Deabaitua-Schulde was transported to a nearby hospital but later died from his wounds, Peel Paramedics said. Deabaitua-Schulde was a "well-entrenched" member of the Angels' Niagara chapter, Peel Police Acting Supt. Martin Ottaway said Thursday during a press conference. Montreal police arrested Marckens Vilme, 28, and Brandon Reyes, 24, Wednesday night. Vilme is being charged with first-degree murder, and Martinez-Reyes with accessory after the fact to murder. Investigators said they have identified a third male suspect, Joseph Pallotta, 38, who is wanted on a Canada-wide warrant for first-degree murder. He is considered armed and dangerous. "This was a targeted attack," Ottaway told reporters. All three men are suspected of having associations with organized crime, he said. "This daylight murder is one of many examples of brazen violence and reckless disregard for public safety that criminals have displayed," he said. A blue Honda Civic, which was found after the shooting on fire near Rymal Road and Tomken Road, has been identified as the getaway vehicle. Monday's incident was the fourth homicide of the year for Peel Region. 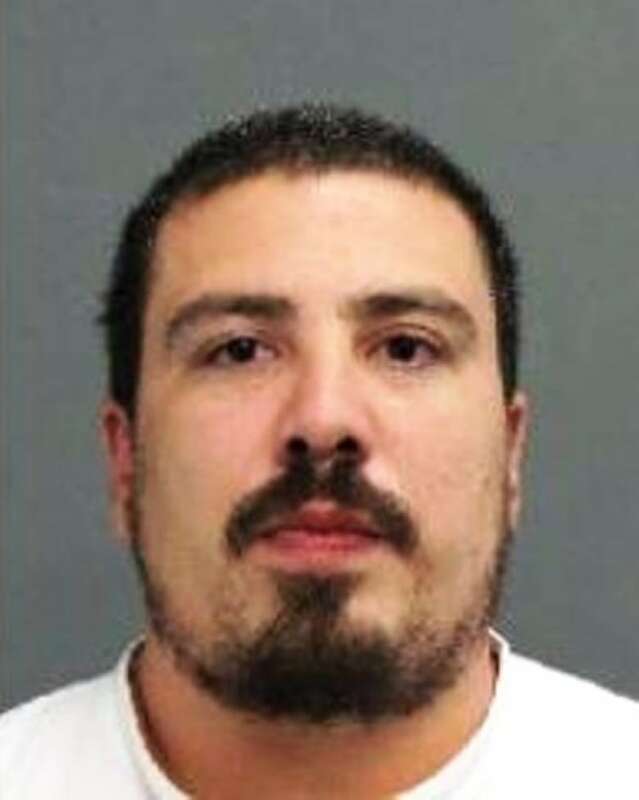 Peel Regional Police originally identified Brandon Reyes as Jonathan Martinez-Reyes, age 26. On Friday, the force said further investigation revealed their suspect's true identity.